How to Publish Your Book? 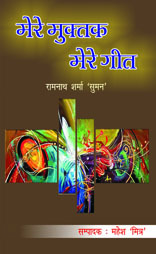 Uttkarsh Prakashan Meerut is a leading Publishing House & books Distributer in U.P. Since 2001, When Hindi and English Literature will be Published in Book form. and then Uttkarsh Prakashan has been an active force in this revolution and has contributed as a catalyst in the “Hindi boom”. Our books are available on all selling Websites As. flipkart.com, amazon.in, bookganga.com. craftly.com etc. Our All books are also available in E-Book form on google Play books.